The preference mostly comes with the type of sauce you serve with it, but it’s one of the ultimate comfort foods there are. Some pasta dishes are complicated to create and the cooking time is extended. 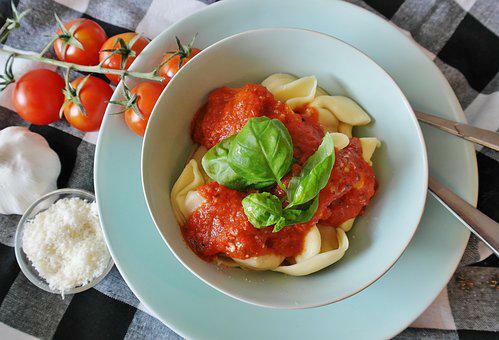 But if you’re looking for a recipe that is quick to make but will still have the taste of a complex dish, these pasta recipes are definitely a must-try! Cook pasta to al dente according to package instructions. Put garlic and olive oil in a pan and cook over medium high heat, stirring until garlic is golden. When ready, add the cooked pasta in the pan and toss to coat with oil and garlic. Serve warm and topped with parmesan cheese. Combine garlic, olive oil, sugar, soy sauce and red pepper flakes in a large bowl. Add shrimp to the bowl and toss to coat with mixture. Cover and refrigerate for at least 1 hour. Cook the shrimp and olive oil mix in a pan over medium high heat until shrimp is cooked through. Add the pasta to the pan, season with pepper and salt and stir fry until heated through. Serve garnished with onions and parmesan. These pasta recipes will surely accelerate your cooking game!